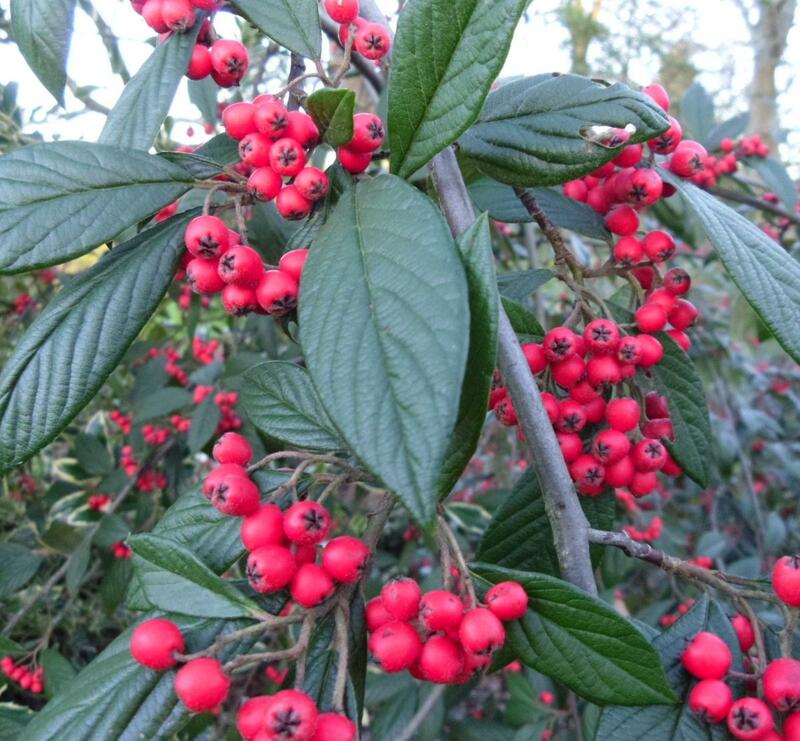 Cotoneaster rugosus is a really beautiful medium sized evergreen species with very distinctive and luxuriant rugose foliage which ages to some really lovely purple tones in the winter. 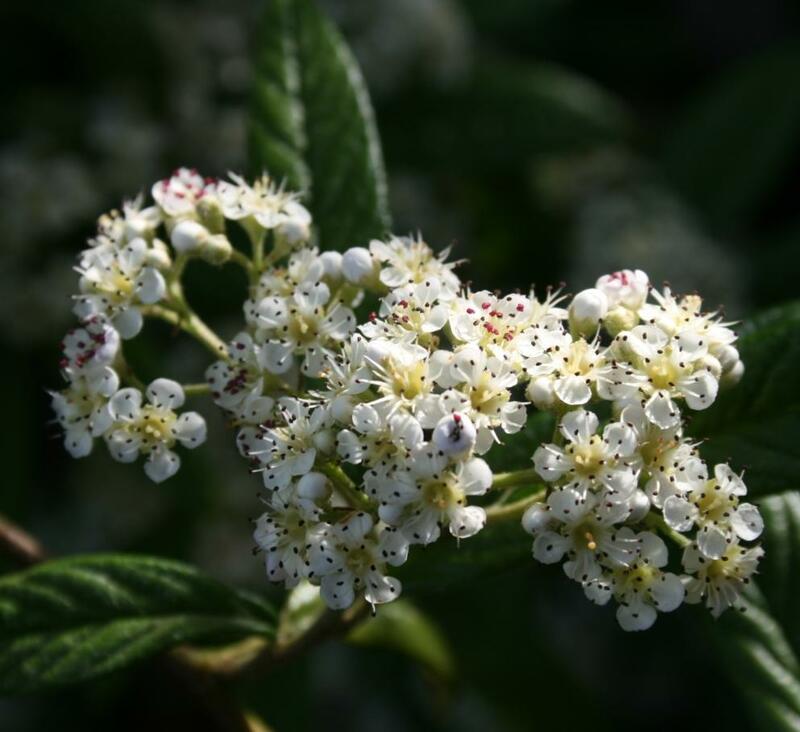 The sprays of creamy white flowers in July are superb and weigh the branches down as if for the flowers to show off their delicate purple anthers. In autumn these same branches are bedecked with large bunches of fruit which are initially coral pink in colour and age to orange-red. 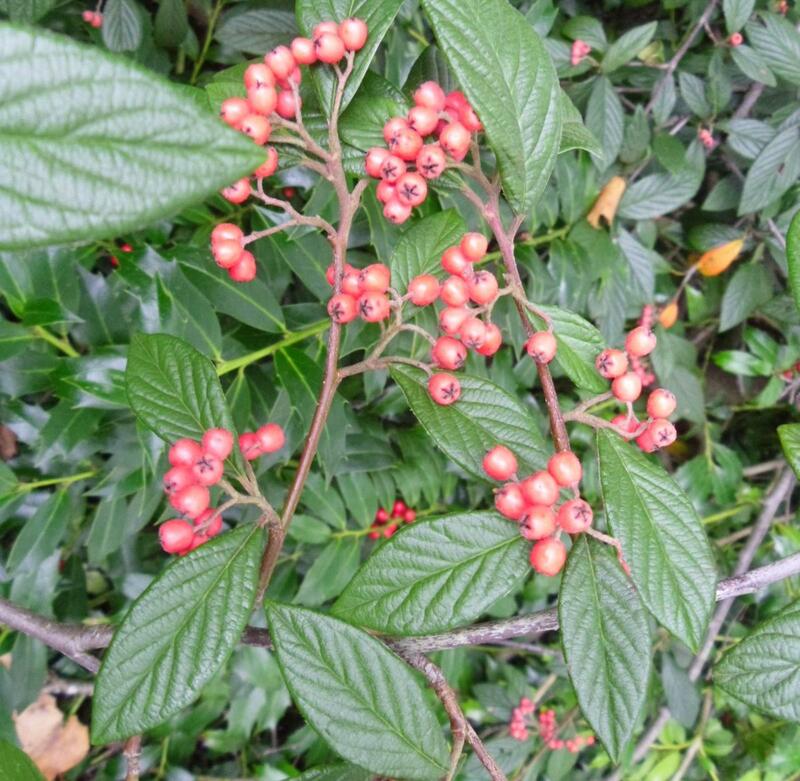 Cotoneaster rugosus has been much confused with other plants over the years, but has been around since the end of the 19th century and yet still remains inexplicably rare in cultivation. Native to Szechuan, China.